With Atlético Madrid and having won their game against Getafe, Barça also require three points to keep the gap between first and second at nine. Ernesto Valverde was unable to call upon Paco Alcácer, Samuel Umtiti or Arda Turan because of injury, and Sergio Busquets because of suspension. He has also chosen to leave Rafinha, Gerard Deulofeu and Aleix Vidal out of the squad. Therefore, the final 18 for the match against Levante are the following: Ter Stegen, N. Semedo, Piqué, I. Rakitic, Denis Suárez, A. Iniesta, Suárez, Messi, O. Dembélé, Cillessen, Mascherano, Paulinho, Jordi Alba, Digne, S. Roberto, André Gomes, Vermaelen and Jose Arnaiz. Still unbeaten in 2017/18, Ernesto Valverde’s side hold the record for the best opening to a season in Barça’s history. In the last six matches in all competitions, only Celta Vigo – twice – have stopped them from winning. Those two draws bookended four victories, all of which were to nil. A win for Levante at Espanyol in the Cup on Thursday was their first in seven matches. During the sequence of four draws and two losses, Los Granotas failed to find the net on four occasions. Traditionally this is a fixture that Barça enjoy. 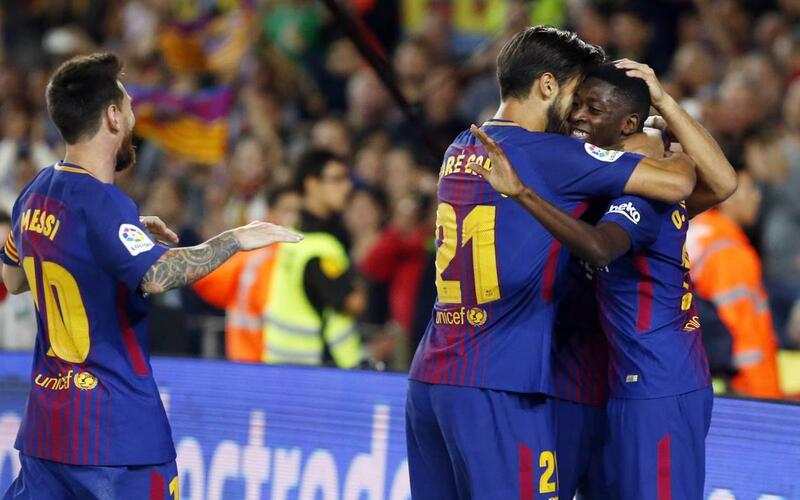 On the last three occasions that Levante have come to the Camp Nou, they’ve been beaten 4-1, 5-0 and 7-0. In 22 fixtures in all competitions, stretching back 14 years, the visitors have managed a solitary victory, 1-0, at the Estadi Ciutat de Valencia way back in 2004. Barça are back in action on Thursday at the Camp Nou. Celta Vigo are the visitors for the Copa del Rey Round of 16 second leg, kick-off 9.30pm CET.